Matrex Back Layered 4 way adjustable arm Leather Ergonomic Chair. A contemporary ergonomic leather office chair with a unique Matrex back design. 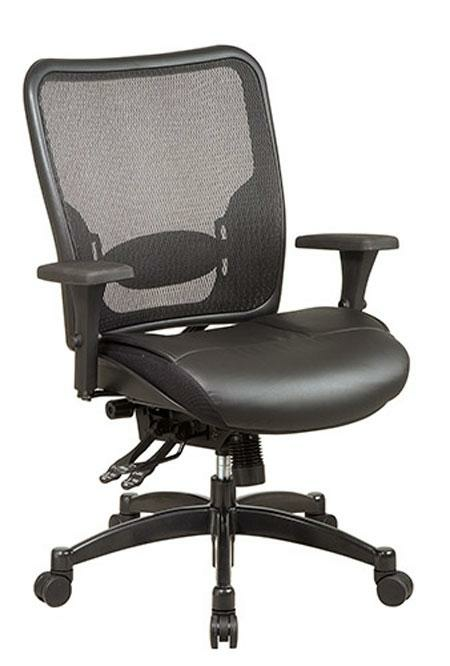 This modern ergonomic computer chair features a gunmetal base with dual wheel casters. It is also fully adjustable with controls for the seat height, arms, back angle, and back rest. Seat slider with seat and backrest angle adjustment. Arms To Floor: 25 In.